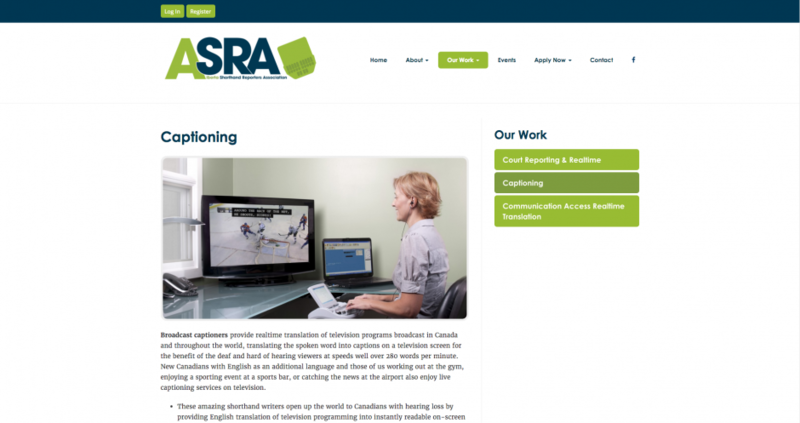 Alberta Shorthand Reporters Association (ASRA) is a non-profit professional association representing approximately 350 court reporters, broadcast captioners, and communication access realtime translation (CART) providers from across Alberta, the Yukon Territory, and the Northwest Territories. Using computerized shorthand machines and state-of-the-art technology called computer-aided transcription (CAT), ASRA members write and translate the spoken word simultaneously to the printed word at speeds of 225 words per minute and higher. 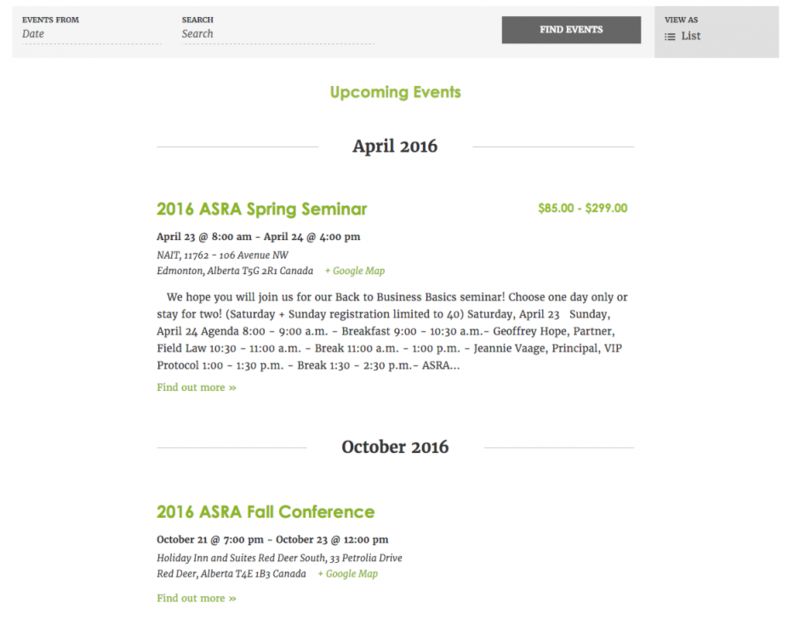 Project Summary: We worked with ASRA to develop a sophisticated website with a subscription management system, an internal credit-tracking system, and an registration platform for ASRA’s events. In front of all of that is an attractive front-end design developed from the ground up here at Pixel.